A week or so ago I finally watched Django Unchained. When the movie was first released, I read a lot of debates about whether Tarantino ever should have made a film about slavery, and, at the time, I argued that there shouldn’t be any a priori prohibition on him making it. I do still believe that white people can speak intelligently and productively about race and racism. It’s just unfortunate that Tarantino can’t. There are two scenes in the film that combine to make it problematic, even ignoring the other two and some odd hours that have their own problems. The first comes shortly after Django joins Schultz (Christopher Waltz’s character). They are camping in a mountain pass and Django sits in front of their fire to watch Schultz tell the myth of Brunhild (or Brynhildr, according to Wikipedia), for whom Django’s wife Broomhilda is named. From what I remember, the myth centers on a hero riding through flames to rescue his loved one. But the framing of the scene is a clear allusion to Plato’s cave, as Django sits watching the shadows dance on the wall of the pass. In Plato’s allegory, slaves are kept from seeing the world around them and only allowed to see shadows along the wall that they take to be all of reality. In this case, the shadows on the wall are literally cast by Schultz. The implication is that Schultz’s revenge myth is the (false) reality one must move past. In the film’s climax, however, Schultz prevents Django from doing just that. The two have gone to Calvin Candie’s plantation to rescue Broomhilda and, though their plan faltered, they have successfully bought her freedom. However, Candie insists that Schultz shake his hand to complete the deal. Schultz finds the prospect too great of an insult to either his pride or his sense of justice, and opts to shoot Candie in the chest. As a result, mayhem breaks out and Django is forced to kill more or less everyone within twelve square miles. The freedom Broomhilda has found is put at risk, and Django only narrowly escapes capture. In the end, Django destroys Candie’s house as a kind of symbolic destruction of the institution of slavery, and he and Broomhilda ride off into the sunset. My problem is that this whole myth puts the onus on the black character to fight against slavery, risking his own happiness as a direct result of the white character’s pride. In addition, Tarantino implies through the Plato’s cave allusion that the revenge narrative itself is a limiting, controlling myth. If that’s the case, then the entire film is the same. So, then, why make it? The answer seems to be catharsis. We, the audience, witness the destruction of slavery and see the black heroes ride off and we feel vindicated. Tarantino recognizes this and, it seems, tries to ironize that fact. But that assuages nothing but white guilt. It would have been much better for Django and Broomhilda, I can only imagine, if they didn’t have to suffer the mayhem Schultz brought upon them. But then Tarantino’s films are so stylized that they don’t leave room for their characters to have anything like actual, human emotions. And that mirrors a long history of refusing to recognize the humanity of people of color and forcing a kind of performativity on them. Attempted irony or not, Tarantino’s film ends with nothing but a continuation of problematic racist tropes. 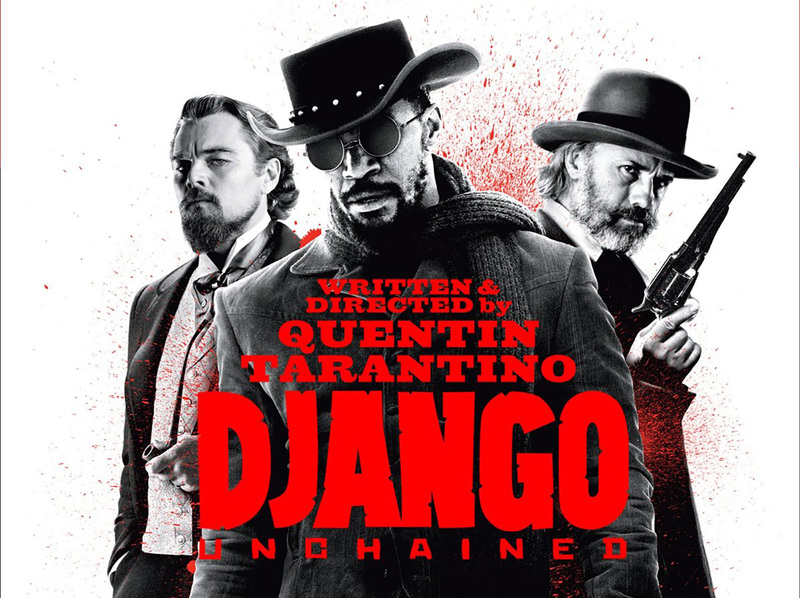 Thinking of this film in the wake of Ferguson, when so many white people are writing think pieces and essays and going to protests to speak about what needs to be done, it becomes clear that Django Unchained is symptomatic of a broader problem. We, as white people, are still pretty godawful at recognizing how to speak about race and our role in racism, and unwilling to do the long, difficult work of inheriting the history of our race to take on its burden ourselves, rather than hoping that people of color will fix things for us.